MEXICO WILL IMPOSE EQUIVALENT MEASURES ON VARIOUS PRODUCTS IN RESPONSE TO THE US PROTECTIONIST MEASURES ON STEEL AND ALUMINUM. Mexico deeply regrets and disapproves the decision of the United States to impose these tariffs on imports of steel and aluminum from Mexico as of June 1, on national security grounds. Mexico has repeatedly stated that these types of measures under the veil of national security are unjustified. Steel and aluminum are inputs that contribute to the competitiveness of several strategic and highly integrated sectors in North America, such as autos, aerospace, electric and electronics, among others. Mexico is the largest market for US aluminum and the second importer of US steel. Mexico reiterates its position against protectionist measures that distort international merchandise trade. In response to the decision of the United States to impose tariffs, Mexico will adopt equivalent measures on a variety of products, including flat steel (hot and cold foil, including coated and tubes and pipes), lamps, pork legs and shoulders, sausages and food preparations, apples, grapes, cranberries, various cheeses, and others products, up to an amount comparable to damage caused by the United States’ action. This measure will be in force for as long as the US government maintains the imposed tariffs. Mexico reiterates its openness to a constructive dialogue with the US, its commitment to the international trade system, and its rejection of unilateral protectionist measures. The FDA DUNS Portal is currently available. The portal available at https://fdadunslookup.com/ provides industry with the ability to look-up and/or verify DUN and Bradstreet numbers to assist in the identification of DUN and Bradstreet numbers for firms. FDA Seminar on FSVP, VQIP, What role do Customs Brokers have? Great Seminar by FDA CSO Selina M. Mata - DIOP, regarding FSVP and the brokers responsibility. FDA has published a Quick Reference to the Supplemental Guide for Filers and Importers. This is a concise, user-friendly resource that outlines the requirements for each FDA-regulated commodity type. The U.S. Food and Drug Administration has issued a final rule to extend the compliance dates for updating Nutrition Facts and Supplement Facts labels, from July 26, 2018, to January 1, 2020, for manufacturers with $10 million or more in annual food sales. Manufacturers with less than $10 million in annual food sales will receive an extra year to comply – until January 1, 2021. The agency published a proposed rule to extend the compliance date in September 2017, and this rule finalizes that extension. After considering a range of stakeholder comments, the FDA recognizes the need for manufacturers to have additional time to make required changes. The approximately 18-month extension accomplishes this goal and will provide sufficient time to transition to the new version of the Nutrition Facts label. The FDA is also committed to ensuring that all manufacturers have guidance to help implement the required label changes by the upcoming compliance dates. A full list of Nutrition Facts-related guidance documents is available on the FDA website. A norovirus outbreak traced to raw oysters from British Columbia has crossed the Canadian border, and U.S. officials say an unusual strain of the virus is involved. About 100 people in California have reported becoming sick with symptoms of norovirus after eating raw oysters from British Columbia, according to the California Department of Public Health. The ill people said the oysters were sold by restaurants and retail stores. 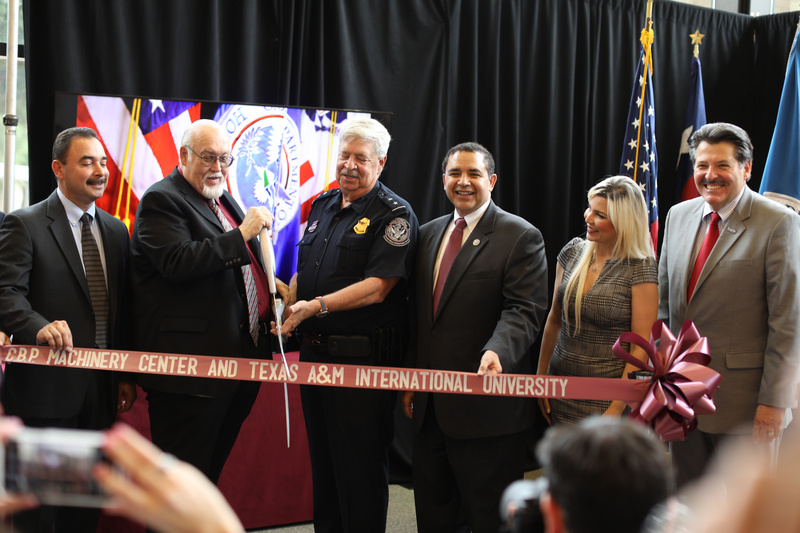 Friday, April 20, 2018, Leadership from CBP, TAMIU and U.S. Rep. Henry Cuellar gathered at Texas A&M International University to formally dedicate the new offices for the Machinery Center of Excellence and Expertise, which will be housed within TAMIU’s Western Hemispheric Trade Center. Event hosts discussed the Center’s purpose and other joint projects that will be realized through this collaborative effort. International Trade and NAFTA– Laredo is the nation’s largest and most important inland port. In 2016 it processed over $230 billion of cargo. 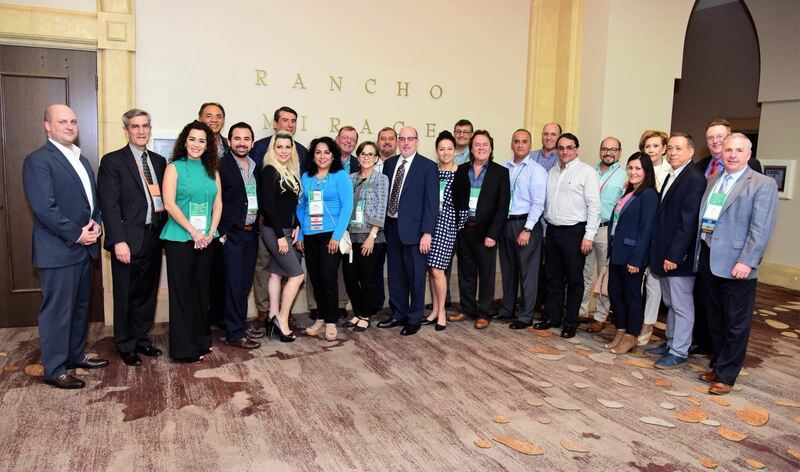 With one of the largest concentrations of U.S. customs brokers and freight forwarders in the nation, this industry represents a major source of employment for the Laredo/Webb area, but it also serves as a gateway for trade for almost every state in the union. A quick renegotiation of the North American Free Trade Agreement is vital to the flow of commerce with the U.S.’ leading trade partners. Border Security– Security of our borders is vital to the safety of the nation’s citizenry and to ensure secure flow of legal commerce. 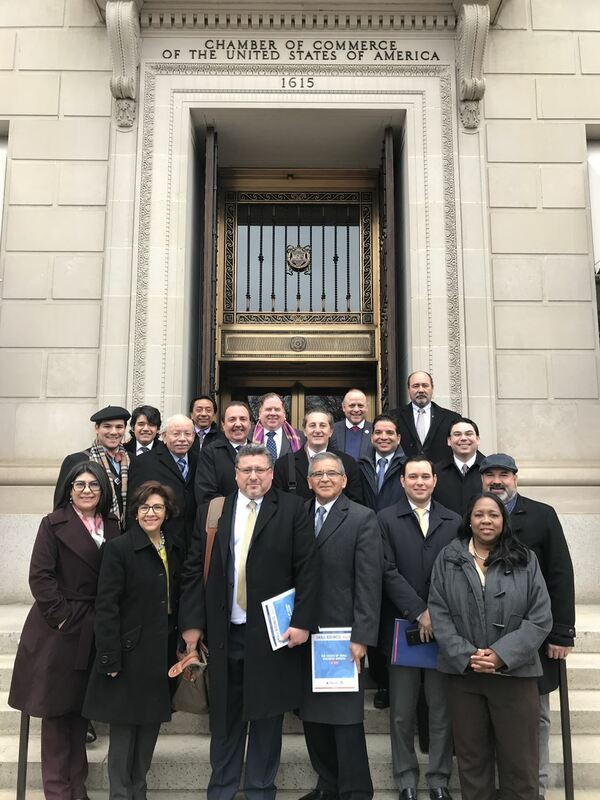 The Laredo Chamber supports the strengthening of resources, human and other, in particular at the nation’s ports of entry, and the reinforcement of border security with the use of technology. Also included was a recently published white paper “Common Sense: Border Security Solutions”by Mr. Dennis Nixon that outlines important elements regarding the cleanup of the Rio Grand to give Border Patrol access and visibility; Clearing the backlog of the immigration court system by hiring more immigration judges; and cost-effective measures that would enhance opportunities for security without building a wall. Infrastructure: Freight Mobility– Having international bridges that move traffic efficiently is of little consequence if the infrastructure providing access and exit to/from the bridges is antiquated and inefficient. A case is made to provide additional support for completion of the I-35/I-69 interchange in the short term and for eventual construction of a fifth international bridge. Workforce Development –Laredo has a young and plentiful labor force; yet highly unskilled. A program to support training in STEM and technological fields is proposed. Transportation –Laredo has two major railroads and over 200 trucking companies servicing its freight industry. The local industry offers innovative solutions for the recruitment of drivers as well as support for infrastructure development. A total of twenty-six members representative of the various G-13 business organizations signed up for the legislative trip to Washington, DC. 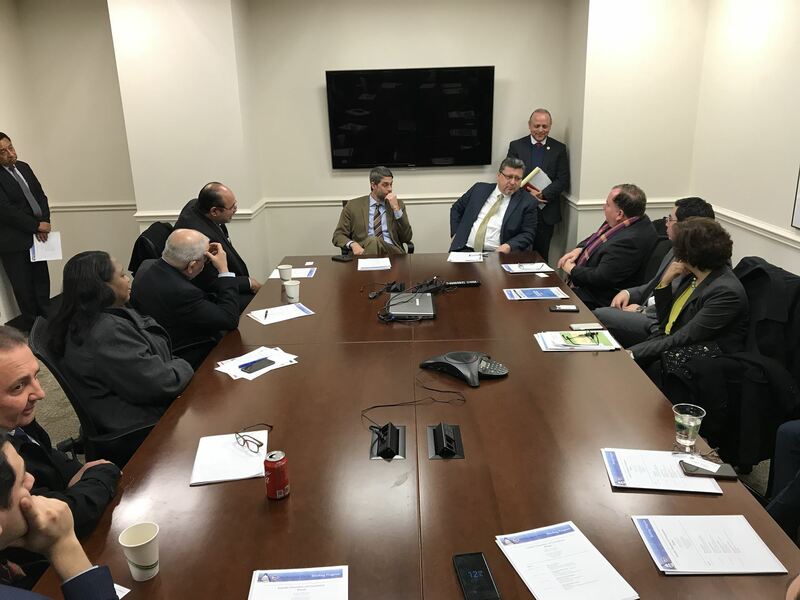 In the nation’s capital, the group hosted a breakfast meeting with U.S. 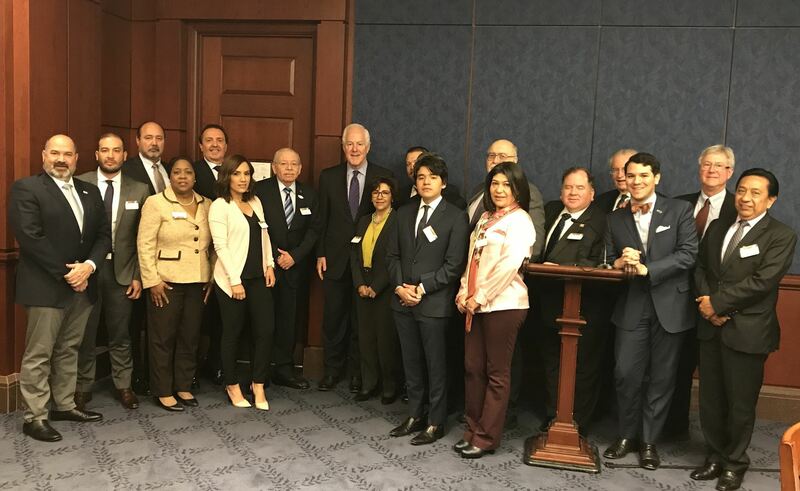 Senator Cornyn, who addressed the group and reassured his support of the INFRA Grant application for the Laredo I-35/I69W improvements project. 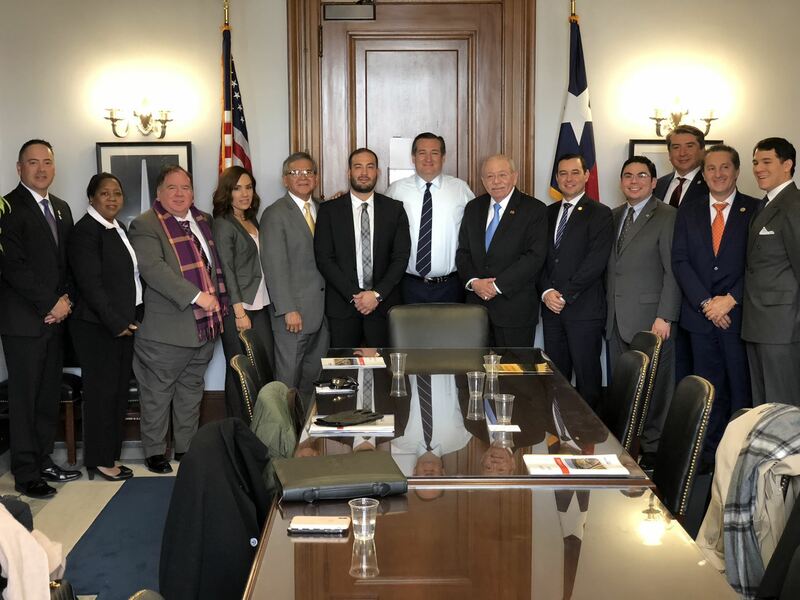 The group also had the opportunity to meet with Congressman Henry Cuellar, Senator Ted Cruz and his staff; Congressman David Reichert, Chair of the Subcommittee for Trade; Congressman Mike Conaway, Chair on the House Committee on Agriculture; as well as experts in particular fields from the U.S. Chamber of Commerce. These included: Monique Thierry, Executive Director of USCC Southwest & South Central Regional Office; Christopher Wenk, Executive Director for International Policy; Jon Baselice, Director of Immigration Policy; and Ed Mortimer, Executive Director of Transportation and Infrastructure Policy Team. Some members of the group had opportunity to attend a breakfast meeting addressing the future of the North American Free Trade Agreement which featured David MacNaughton, who serves as Canada’s Ambassador to the United States; Gerónimo Gutiérrez, who serves as Mexico’s Ambassador to the United States; U.S. Senator Jerry Moran of Kansas; and, U.S. Representative Will Hurd, from the 23rd Congressional District of Texas. Enrique Gonzalez Laredo Licensed U.S. Customs Brkrs. Assoc. J.D. Gonzalez Laredo Licensed U.S. Customs Brkrs. Assoc. Arturo Dominguez Laredo Licensed U.S. Customs Brkrs. Assoc. Melissa Huddleston Laredo Motorcarriers Assoc. Ernesto Gaytan Laredo Motorcarriers Assoc. Gerardo Maldonado Laredo Motorcarriers Assoc. Edgardo Pedraza Asociación de Agentes Aduanales de N. Ldo. Luis Viñals Asociación de Agentes Aduanales de N. Ldo. Carlos Martinez Asociación de Agentes Aduanales de N. Ldo. 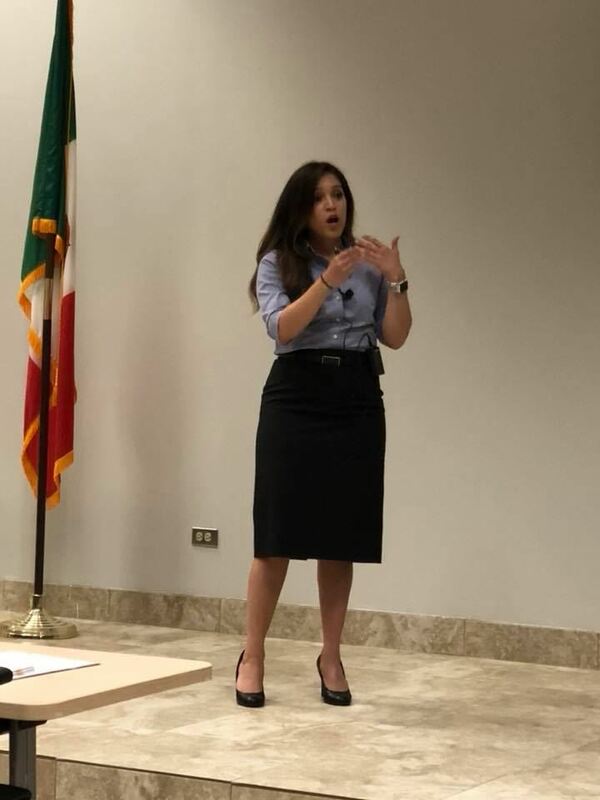 Martha Reyes Asociación de Agentes Aduanales de N. Ldo. Yolanda Malagon Asociación de Agentes Aduanales de N. Ldo. Fortino Fernandez Asociación de Agentes Aduanales de N. Ldo. The Laredo Chamber of Commerce, founded in 1915 is Laredo’s and Webb County’s longest running business organization. 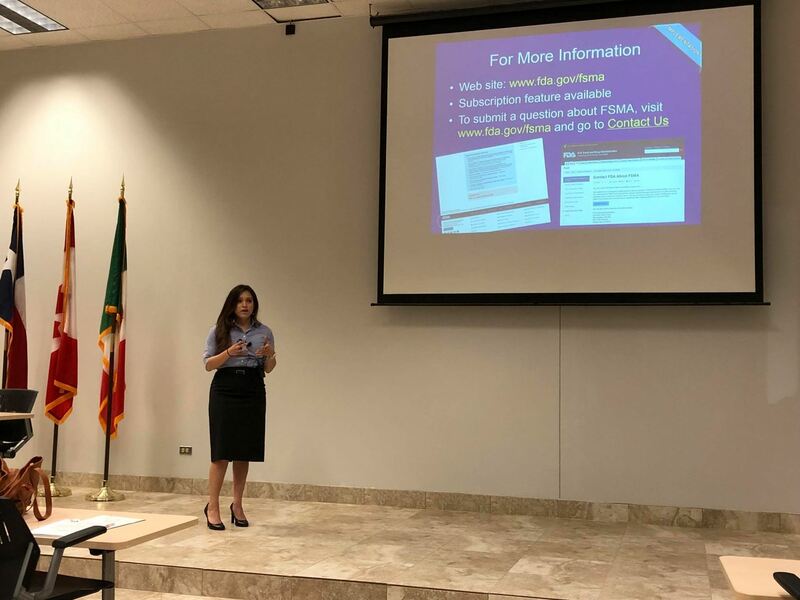 The Laredo Chamber works constantly to create a business-friendly environment in the community. It currently counts with 700 members within its rolls, representing every facet of the business community.